Philex rescue team members at Ground Zero of the Itogon landslide. (ITOGON, BENGUET) – The work was nevertheless faster, but the results were nonetheless grimmer. 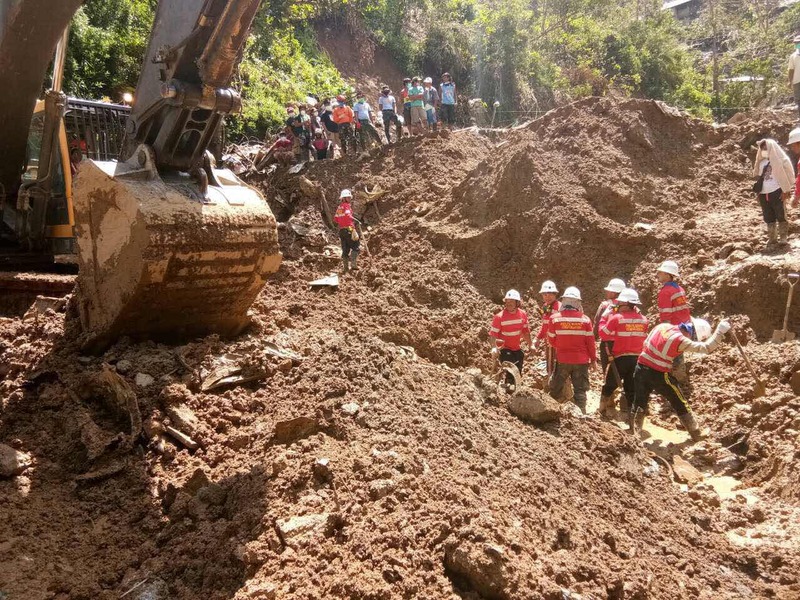 Rescue team members from Philex Mining Corporation recovered seven (7) more bodies as of press time today from beneath the mud and debris of the recent landslide in Barangay Ucab, Itogon town, Province of Benguet. This brings to 42 the total number of bodies recovered so far from the landslide that resulted from Typhoon “Ompong” (international name: Mangkhut) which wreaked havoc on Northern Luzon a week ago. “The search-and-recovery operations were indeed faster, now that a pioneer road had been connected to Ground Zero for easier access to rescuers and equipment,” according to Philex President and CEO Eulalio Austin, Jr.
“Still, this did not detract from the grim nature of the work that our rescue team had to do,” Austin said. The day before, an excavator deployed by Philex from its mine camp in Tuba, Benguet, was able to reach Ground Zero after carving out a roadway from the Itogon Provincial Highway. The pioneer access road was constructed at the behest of Philex to expedite search-and-rescue and search-and-recovery operations, so that other equipment can be brought in to assist in digging at the landslide area. It is believed that a majority of the victims were small-scale miners and their families who lived and mined on the hillside that gave way under a week’s worth of torrential rains and winds that were dumped in a matter of hours. In spite of the warnings given earlier by government agencies concerned on the devastating impact of the coming storm, villagers in the area still remained in their dwellings precariously situated on a hillside. So far, 26 residents have remained missing. TUBA, Benguet – Having passed with flying colors a previous technical audit done by government on its operations, Philex Mining Corp. is now the “benchmark” for an “objective, fact-finding, and science-based process” of review to be conducted by an interagency tasked to recommend policies to improve the mining sector. “It’s not going back to the review, but moving forward,” Gabriel Pamintuan, a consultant for the Development Academy of the Philippines (DAP), said during a visit at Padcal mine, Philex Mining’s gold-and-copper operations in the Benguet towns of Tuba and Itogon. He expressed this clarification on Sunday, March 4, as part of a five-man team from DAP—a state-run economic development agency tasked by the Mining Industry Coordinating Council (MICC) to review this year the performance of operating mines—that visited the Padcal mine camp, and to dispel any idea that there is a technical re-audit to be done. TUBA, Benguet – Philex Mining Corp. has begun reforesting 50 hectares (ha) of land at the host and neighboring villages of Padcal mine, its gold-and-copper operations in this province, for the year’s environmental-protection program amounting to P1.62 million. “Protecting the environment in various forms, such as reforestation, has become our habit, not just following what is required of us by the government regulators,” Roy Mangali, AVP at Philex Mining and assistant resident manager of Padcal mine, said. This year’s reforestation-and-maintenance activity kicked off June 19 at the roadside close to the Bumolo project, in Itogon town’s Brgy. Ampucao, where the company had drilled holes as part of its exploration activities, Leon Mocate, senior forestry coordinator at Padcal’s Environmental Quality Monitoring and Enhancement Dept. (EQMED), said. The initial areas planted with forest trees, fruit-bearing trees, and tropical plants included the Central Saddle area at the mine camp in Tuba town’s Brgy. Camp 3, as well as the roadside going toward the subsidence area in the same barangay. Mocate also said that eight personnel from the EQMED as well as 17 contracted workers carried out the initial tree-planting activity, which includes the replanting of 15 percent of the 50-ha areas that had been reforested last year. These workers will soon be joined by Philex Mining officials and other employees for the planting seedlings in other areas. 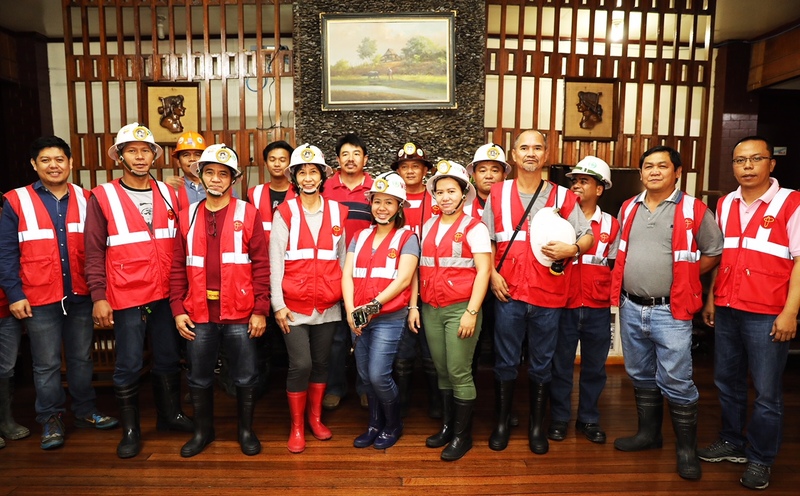 TUBA, Benguet – Philex Mining Corp. has been “recertified” for its Integrated Management System (IMS) by a worldwide provider of technical services after it passed the two previous “surveillance audits” following the company’s migration to the latest international standard on environmental management. This according to Joven Maxion, IMS manager of Philex Mining at Padcal mine, its gold-and-copper operations in Benguet, in an interview after the May 31 exit conference held at the company’s Smith Hall, in Tuba’s Brgy. Camp 3, by the miner and the German-based TÜVRheinland, which conducted the four-day audit starting from Monday, May 28. “We are delighted that we have passed this recertification, after the auditors recommended the ‘award of the new certificates,’ ” he said, following the presentation by the lead auditor, John Francis Faustorilla, Jr.
Having got its first IMS Certificate from TÜVRheinland, in April 2015, this year’s certification standards consist of ISO, or International Organization for Standardization, 14001:2015 and the Occupational Health and Safety Assessment Series (OHSAS) 18001:2007, a British Standard (BS). After 11 years, the ISO 14001:2004 has been replaced by ISO 14001:2015, which requires the “context of the organization” and the “actions to address risks and opportunities” against the “environmental targets,” “management representative,” and “preventive action” as required by the previous standard. 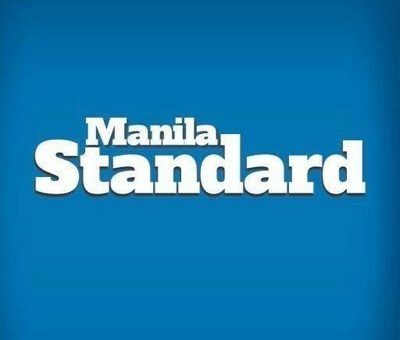 Djastherite Maxion, logistics coordinator at Padcal mine’s Safety/Loss Control Dept., said the latest standard calls for companies certified against the 2004 revision to transition by Sept. 2018, as the leading certification bodies were scheduled to stop recognizing the previous standard by Sept. 2016. He added that Philex Mining whose 2018 recertification will have its surveillance audit due by May 31, 2019 missed this year’s official review schedule in March, owing to intense preparations for the transition to ISO 14001:2015 from ISO 14001:2004, thus it had to be recertified. The report stressed, among other things, the need for the company to ensure that internal audits conform to planned arrangements and requirements of the ISO 14001:2015 and the BS OHSAS 18001:2007; include in the management review such items as changes in internal and external issues and changes in risks and opportunities, as well as conclusions on the effectiveness of environmental-management system; and a periodic review of its emergency preparedness and response procedures after certain situations like forest fires or earthquakes. 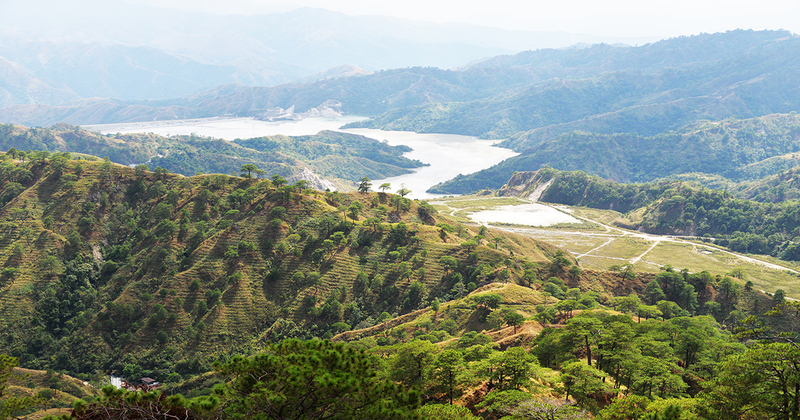 TUBA, Benguet – Philex Mining Corp. has continued exceeding the fulfillment of its obligation to protect the environment, including maintaining the stability of its tailings pond, spending more than double of what was required for its 2017 environmental and enhancement projects. This means the company had spent P412.37 million for last year’s Environmental Protection and Enhancement Program (EPEP) for Padcal mine, its gold-and-copper operations in this province, or 11.45 percent of its direct mine and milling costs of P3.6 billion. The total expenditure is 93.7 percent of the allotted 2017 EPEP budget of P440.07 million. “We focus more on having safer surroundings and more stable operations-related structures, as we have always done,” Julius Bayogan, the outgoing EQMED manager, said. He is referring mostly to the stability of Padcal’s Tailings Storage Facility No. 3 (TSF3) and its accompanying structure, the open spillway. Overall, the environmental and enhancement projects under the Annual EPEP (AEPEP) covers the management of land and water resources, hazardous waste, and air quality, as well as the third-party monitoring of mine facilities. A comprehensive and strategic environmental-management plan for the life of the mine, the AEPEP requires a miner to spend 3 – 5 percent of its direct mine and milling costs for the same year. In its 30-page 2017 report on the mine rehabilitation fund committee for Padcal mine, the EQMED said Philex Mining spent P143.96 million to complete the spillway and ensure its integrity to withstand earthquakes and typhoons. It added that the water-resource management, as indicated in the fourth quarter of its 2017 EPEP report, covers mainly the improvement of the open spillway and the maintenance of the offset dike at its TSF3, in Itogon town’s Sitio Balog, Brgy. Ampucao. Among the projects under the land-resource management, on the other hand, include reforestation program, the collection of garbage around the Padcal community and hauling this to a sanitary landfill at the decommissioned and rehabilitated TSF2, in Brgy. Ampucao’s Sitio Bagbag, the deepening of a creek, and the backfilling of a subsidence area. 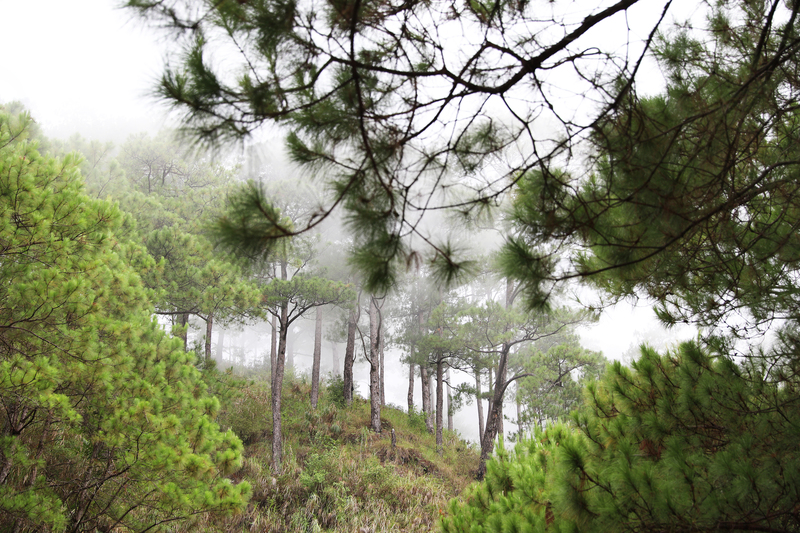 For its reforestation projects, the company had established 50 hectares more of land area planted with various forest trees and other plant species, such as antso-an dilau, Benguet pine, calliandra, gmelina, Arabica coffee, guava, kupang, narra, jackfruit, avocado, and bougainvillea. The number of previously reforested areas cared for and maintained by the company in 2017, meanwhile, amounted to 100 hectares. Bayogan said the nursery at Padcal mine produced 227,195 seedlings of various tree species, and began propagating seeds of fruit-bearing trees that had been donated by employees through a groundbreaking program. He added that while the reforestation projects are done annually during the rainy season starting from June until December, the other programs are carried out year-round. For air-quality management, which is being monitored regularly by a multisectoral committee, Bayogan said Philex Mining has several sampling stations within the area of its operations and many more of the same in the adjoining areas of Padcal mine, in accordance with the regulations on clean air and water. “Exceeding the expectations or what is being required of us is nothing new at Philex Mining,” the company’s AVP and Padcal’s assistant resident manager, Roy Mangali, said. In 2016, Padcal mine’s environment-related expenses reached P446 million, or 12 percent of Philex Mining’s direct mine and milling costs of P3.69 billion for the same year. In 2015, the company spent P269 million for its EPEP, or 7 percent of direct mine and milling costs amounting to P3.8 billion. TUBA, Benguet—Philex Mining Corp. has allotted a total of P109.32 million for this year’s programs on infrastructure, information dissemination, and research and development, following several community-based consultations and planning workshops conducted in the outlying communities of its Padcal mine, in this province. Noting that the company “believes that the community knows what is best for them,” Padcal mine’s Community Relations Department said a team composed of representatives from Philex Mining as well as from the local government units municipal and barangay had conducted site assessments and technical evaluation of the proposed community projects. “The results of the site assessments and technical evaluation were then presented to the local government units resulting in the proper prioritization of proposed projects per area,” Philex ComRel said in a 95-page report, entitled “2018 Annual Social Development and Management Program,” submitted to the regional MGB, or Mines and Geosciences Bureau, in Baguio City. The total allocation of P109,317,925.29, as mandated by the MGB, a government agency that regulates the mining industry and operates under the Department of Environment and Natural Resources, is 1.5 percent of the company’s 2017 total operating costs of P7,287,861,686. ComRel said the allocated amount is broken down into P81.75 million for Social Development and Management Program, P16.35 million for the Information, Education and Communications campaign, and P10.9 million for the Development of Mining Technology and Geosciences; and P315,281 for the company’s Poro Point Installation, in San Fernando, La Union. The budget set aside for Poro Point, situated on the coastal village of Poro and where Philex Mining ships its copper concentrate from to a refinery abroad for further processing, includes all its SDMP, which involves community development through public infrastructure, IEC, and DMTG, composed of R&D, workshops, training, and scholarships for industry professionals. During formal ceremonies held at Padcal mine’s Smith Hall, in Tuba town’s Sitio Padcal, Brgy. 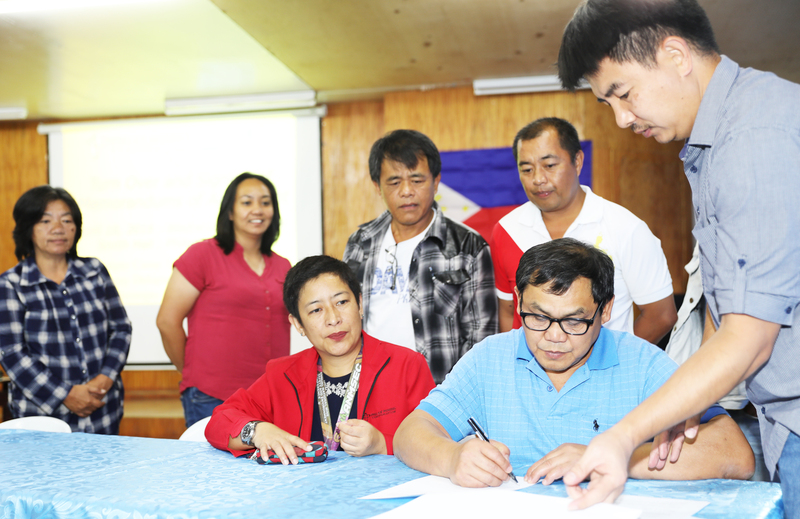 Camp 3, on Wednesday, April 18, Philex Mining signed an agreement with each of its five outlying communities, both host and neighboring, on the projects and programs involving SDMP, IEC, and DMTG to be implemented this year. “That both parties shall see to it that all PPAs [programs, projects and activities] provided in the approved 2018 ASDMP of PHILEX shall be religiously implemented,” the two-page MOA said among its other provisions. Philex Mining and its host villages of Camp 3, in Tuba, and Ampucao, in Itogon; and its neighboring villages of Camp 1 and Ansagan (both in Tuba), and Dalupirip (Itogon) also agreed that they jointly conduct regular monitoring of the implemented projects as well as compile the corresponding reports required by the MGB-DENR. April 18 also marked the turn-over of P56 million worth of infrastructure projects ranging from concrete road and retaining wall to school-ground shed and health-care facilities to the irrigation system and potable water installation to the outlying communities. ComRel has said that P51,745,339.63 of the total P55,596,589.76 projects covered those that were carried out through its SDMP carried out in areas where a miner has ongoing operations while P3,851,250.13 involved projects under the CDP, which covers areas undergoing exploration. TUBA, Benguet – Philex Mining Corp. has turned over about P56 million worth of infrastructure projects—ranging from concrete road and retaining wall to school-ground shed and health-care facilities to irrigation system and potable water installation—to the five outlying communities of its Padcal mine in this province. Padcal mine’s Community Relations (ComRel) Dept., which had implemented the projects, said that P51,745,339.63 of the total P55,596,589.76 projects covered those that were carried out through its Social Development and Management Program (SDMP) while P3,851,250.13 involved projects under the CDP, or Community Development Program. These projects form part of the 2017 SDMP budget as well as the unspent funds carried over from the previous three years, according to the company’s AVP and assistant resident manager of Padcal mine, Roy Mangali. “The company is steadfast in its commitment to improve not only the welfare of its employees, but also of its outlying communities,” he said. Philex Mining and each of the five outlying communities on the infrastructure projects to be implemented this year. Philex Mining and its host villages of Camp 3, in Tuba, and Ampucao, in Itogon; and its neighboring villages of Camp 1 and Ansagan (both in Tuba), and Dalupirip (Itogon)— collectively called outlying communities—also agreed that they jointly conduct regular monitoring of the implemented projects as well as compile the corresponding reports required by the Mines and Geosciences Bureau (MGB). A government agency that regulates the mining industry and operates under the Department of Environment and Natural Resources (DENR), the MGB also approves and monitors the carrying out of SDMP, which is being implemented in areas where a miner operates has ongoing operations, as well as the CDP (covering areas undergoing exploration) projects. In its report submitted to the MGB-Cordillera Administrative Region, in Baguio City, the ComRel said the SDMP projects turned over to Brgy. Camp 3 and Brgy. Ampucao amounted to P20.94 million and P22.77 million, respectively, while Brgy. Camp 1 got P2.78 million, Brgy. Ansagan had P2.45 million and, Brgy. Dalupirip, P2.8 million. “Thank you, Philex Mining, for having supported our barangay through the implementation of various infrastructure projects,” Cipriano Balinag, chairman of Brgy. Camp 1, said in a speech during the turn-over ceremonies. This was echoed by the chairman of Brgy. Ansagan, Leopoldo Palabay, who also thanked Philex Mining for the other assistance it has extended to the outlying communities, including free health-care services, scholarship grants, and livelihood projects. Besides the SDMP, Philex Mining also carries out the Information, Education and Communications (IEC) campaign, where it engages the media on the benefits derived from the mining industry, and the Development of Mining Technology and Geosciences (DMTG), through which it funds training for and research and development as well as further studies being pursued by professionals to further improve the industry. The MGB-DENR requires a miner to allot 1.5 percent of its operating costs incurred in the previous year for the current year’s SDMP, IEC, and DMTG projects. The total share is divided into 75 percent for SDMP, 15 percent (IEC), and 10 percent (DMTG). 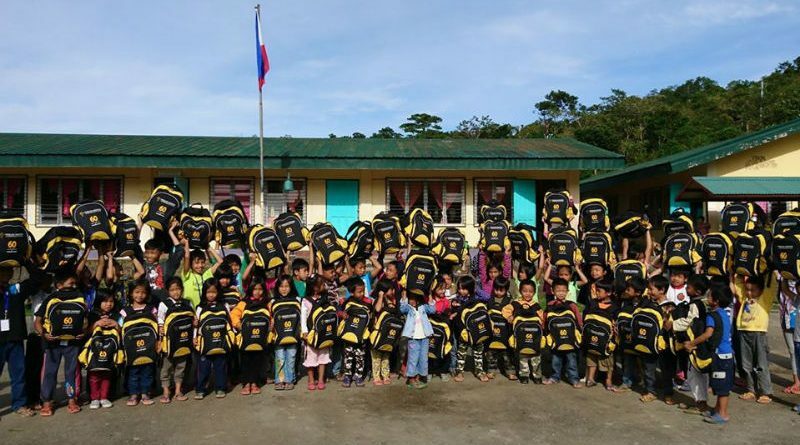 TUBA, Benguet – A beneficiary of Philex Mining Corp., it used to be an unknown primary school in a remote village amid a mountainous area. Under the supervision of a cluster principal, four teachers attend to more than 70 pupils from kindergarten to Grade VI in the school’s multigrade classrooms. Do not be deceived by its smallness, however, as the Ligay Elementary School (LES), in this town’s Sitio Ligay, Brgy. Camp 1, is the Department of Education’s 2017 awardee for the Best Multigrade School, in all of Benguet. The day also marked the school’s annual cultural activity dubbed “Awarding and Festival of Talents,” where pupils engaged in a number of contests, such as singing, dancing, smartphone photography, poster-making, and modeling their own creation of avant-garde outfits fashioned from indigenous, recyclable, and biodegradable materials found around them. “There is nothing big about this, of course, save for the kids developing their creative skills and having the confidence to face the audience and talk before a bigger crowd,” stresses Dum-ao, who has since been invited to speak in many educational forums and workshops on how she has managed to keep LES in top form, in spite of being small and not having enough resources. He also expresses belief that educational assistance is one of the best gifts a company could give to its stakeholders. Philex Mining had for 2017 set aside P14.4 million for its scholarship grants to college, high-school, and elementary students, as well as for those in the technical/vocational (TechVoc) courses. In 2016, it allotted P11.8 million for its 114 full college and 24 TechVoc scholars; 374 students in elementary and high school who received educational subsidies; and 130 secondary students who were given education assistance (monthly monetary allowance). Padcal mine’s Community Relations Dept., meanwhile, has implemented a number of infrastructure projects in Brgy. Camp 1, including the LES, which, together with Tuba’s Brgy. Ansagan and Itogon’s Brgy. Dalupirip, form part of the miner’s neighboring villages. The host villages are Brgy. Camp 3, in Tuba, and Brgy. Ampucao, in Itogon. “It is us who concreted the road leading to the school’s main entrance via our SDMP, or Social Development and Management Program,” says Mila Molintas, ComRel coordinator for Information, Education, and Communications (IEC) campaign and for Development of Mining Technology and Geosciences (DMTG). Tuba and Itogon have become two of the four first-class municipalities in Benguet, owing to the “significant economic impact” of Padcal operations, the company has said in previous statements. The nine other towns in this province listed under third, fourth, and fifth economic classes are all into agriculture, while three of the four first-class municipalities are predominantly mining communities. The company paid for this year a total of almost P15 million in LBTs, or local business taxes, to the municipalities of Tuba and Itogon, which host Padcal mine. Saying that an innovative and more effective learning is not just confined in the four corners of a classroom, Dum-ao is proud of the school’s organic-vegetable garden blooming with many kinds of lettuce and herbs, as well as fruits like cherry tomatoes. She reveals that pupils are sometimes sent by their teachers to this garden to do some reading or creative arts, such as painting, or answer the questions hung by the trees or the fence. TUBA, Benguet –Philex Group Foundation, Inc. (PGFI), the corporate social responsibility arm of Philex Mining Corp., has enabled the “knowledge transfer” between its farmer-beneficiaries engaged in organic-coffee farming, helping the latter improve their production capacity as well as saving funds for the company. Funded by the Metrobank Foundation, Inc., the workshop, dubbed “On-site Training on Coffee Farm Rehabilitation and Processing,” was facilitated by Osmundo Sabelo and Charwel Olo-an, who are farmer-beneficiaries themselves and had earlier trained and learned from the organic-farming experts hired by PGFI. “This training is one of the missions that PGFI wants to implement which is to build local capacities who will train their interested neighbors in coffee farming and organic-vegetable farming,” Buenconsejo said in a speech during the workshop. 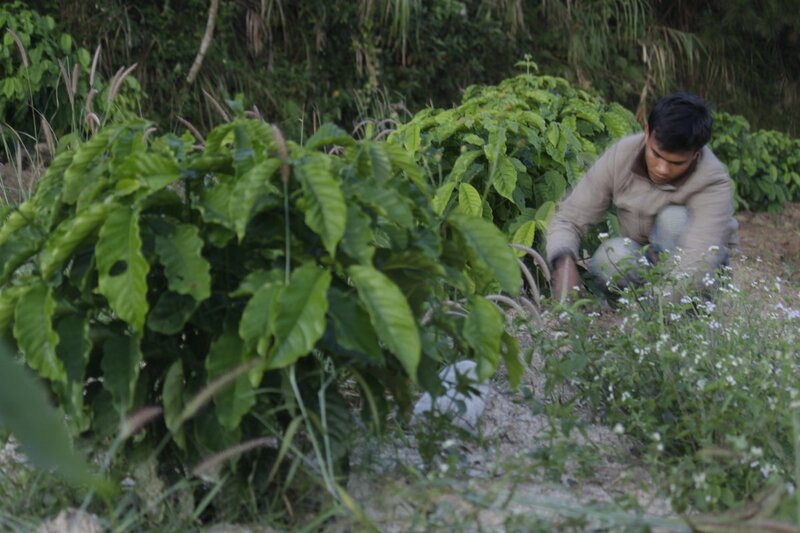 With an average of 1,500 shrubs of Arabica coffee that each of the 11 farmers in Sitio Ligay own and tend to, the PGFI now has a total of 22,500 plants of Arabica coffee as its source, including the 6,000 plants belonging to coffee growers in Tuba’s Sitio Torre, Brgy. Camp 3, and in Itogon town’s Sitio Sta. Fe, Brgy. Ampucao. “Going into organic farming was a difficult decision for me to sustain, but my willingness to help our planet and also to realize my dream of producing healthy crops pushed me to continue improving our organic farm,” said Olo-an, a 28-year-old agroforestry graduate and synthetic farmer-turned-organic farming enthusiast, who tends a family farm together with his father. He and Sabelo taught their fellow farmers, among other things, the wet-process technique, which requires the use of specific equipment and substantial quantities of water in taking care of their coffee plants. This also requires the berries to first be sorted out by immersion in water as against drying them under the sun right after harvest where bad or unripe fruit will float and the good ones will sink. The initial process also includes a machine removing the skin of a berry by pressing it in water through a screen. The trainers also taught the 11 farmers some other tips on how to rejuvenate their plants the proper ways of pruning, trimming, and nourishing and how to make organic fertilizer, so they can harvest more coffee berries. He said his team is prepared to look for more distributors once its farmer-beneficiaries increase their yield. PGFI now has 10 major distributors of its roasted and ground coffee beans, as compared to eight in 2016, the latest addition of which are the Ideal Space Foundation and the Ryokudo Eco-Services and Trading, Inc. It wants to improve on the number of its distributors of organic vegetables, however, as it has seven only now as compared to eight in 2016. Tasked to establish livelihood programs for Philex Mining beneficiaries in the host and neighboring villages of its gold-and-copper operations in Benguet, the PGFI, which was incorporated in September 2010, is confident it could increase its yield of vegetables and coffee this year, citing an increasing number of farmer-beneficiaries going into organic farming. In 2017, the PGFI sold 817 kilogram of organic Arabica coffee (roasted and ground) as compared to 755 kg a year earlier, while it sold 5,020 kg and 3,800 kg of organic vegetables for the same period. The foundation also produces organic strawberries and vegetables, including lettuce (romaine, baby red romaine, and iceberg), red sugar beet, French bean, radish, potato, carrot, spinach,wombok (Chinese cabbage), and flowering pechay (cabbage). TUBA, Benguet – Staying true to its role as a government partner in the “right-and-principled” way of mining, Philex Mining Corp. has expressed and shown support for a nationwide crackdown against illegal mining launched recently in this province by a task force, which could become a formal and permanent unit, under the Department of Environment and Natural Resources (DENR). 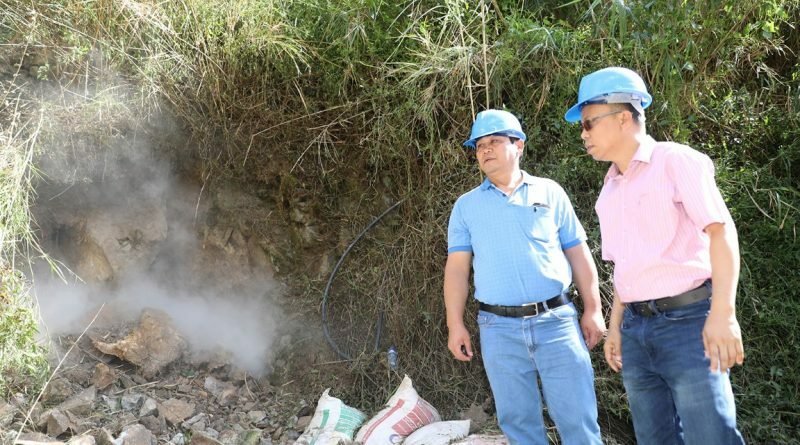 On Wednesday, Feb. 14, Environment Secretary Roy Cimatu led the blasting of entrance holes leading to the underground tunnels of illegal small-scale mining operations which the newly formed NTF-MC, or National Task Force – Mining Challenge, raided earlier within the reservation of the Philippine Military Academy (PMA), in Brgy. Kias, Baguio City, and in Tuba’s Sitio Basa, Brgy. Camp 4. This was preceded by the task force’s formal launch at the Training Center of the DENR-Cordillera Administrative Region (CAR), also in Baguio City. “We’re here to show our support for this very laudable effort by the DENR to get rid of illegal mining not only in the province of Benguet, but also nationwide,” Roy Mangali, assistant vice-president at Philex Mining and assistant resident manager of Padcal mine, the company’s gold-and-copper operations in Benguet, said in an interview. He attended the event together with the manager of Padcal’s Legal Division, Eduardo Aratas. Created through a special order on Jan. 26, the NTF-MC is Cimatu’s first major project against illegal miners, the idea of which he hatched last November while he was at the PMA grandstand watching a performance of the cadets when he saw an area of the ground collapse, caving in. He came to know the presence of illegal miners just at the back of the PMA premises, and that they were operating underneath. In an AVP shown during the launch, the DENR said the NTF-MC, whose 50 of its 101 members attended Wednesday’s event, had worked undercover to track down illegal mining activities in Baguio City and Benguet. On Feb. 10, the task force announced its operation dubbed “Golden Sunrise,” which was composed of five groups that confiscated the pieces of equipment used by illegal miners as well as the voluminous mineral products dug out from the tunnels they had created. Composed of personnel from the DENR, Philippine Army, and the Criminal Investigation and Detection Group, the task force blasted 18 adits a horizontal or nearly horizontal entrance to an underground mine made by five illegal small-scale mining operations within the PMA boundary, which is a timberland site. Meanwhile, Lomino Kaniteng, president of the Benguet Federation of Small-Scale Mining, was quoted in Baguio City’s newspapers as saying that his group has been gearing up for a further crackdown against illegal mining. He said small-scale miners are willing to get permits from the government in order to legalize their operations, as he pushed to fast track the creation of a “Minahang Bayan” (National Mine), where small-scale mining operations must be done only within the declared areas. News reports also said the small-scale mining industry in Benguet has 23,000 miners in 70 associations and cooperatives, only 10 groups of which got permits to operate in Tuba and Itogon.